Blizzard has done a phenomenal job of keeping the content fresh during Legion by releasing frequent content patches. With a release date of August 29th, we wanted to give a breakdown of the main important things coming in Patch 7.3: Shadows of Argus. 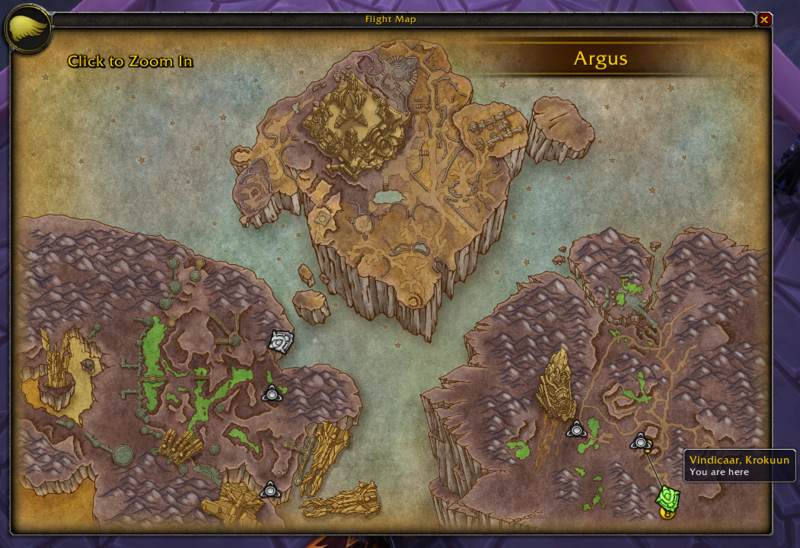 There are no flight points on Argus. You will travel via a teleportation system, that will be unlocked as you progress through the quest lines. The main hub and safe zone on Argus will be on a ship called The Vindicaar. After the fall of Argus, the draenei's finest warriors followed the prime naaru Xe'ra across the cosmos in an external war to bring about the Legion's end. Since then, other survivors of the Burning Crusade have joined the ranks of the Lightforged. The Artifact Knowledge cap has been increased to 55, which is up from the current level 40 cap. Instead of doing the traditional Artifact research to gain levels, you will gain 1 Artifact Knowledge level via an automatic global bonus once a week. The current alt catch up mechanic, the Artifact Research Compendium: Volumes I-IV, will no longer be used for alts. In its place with the global bonus, it will increase your Artifact Knowledge automatically to what level your main is at. 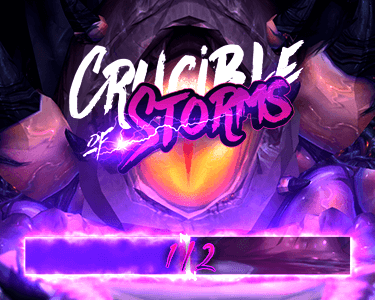 This change is to allow players to swap their focus to the Netherlight Crucible, which we will talk next. When you socket a relic, it will populate random abilities you can select from. This will vary based of the relics you are using. You can see what ability options you will have before you socket a relic by going to the Netherlight Crucible UI. This will not be available to unlock until Week 3 of the patch. 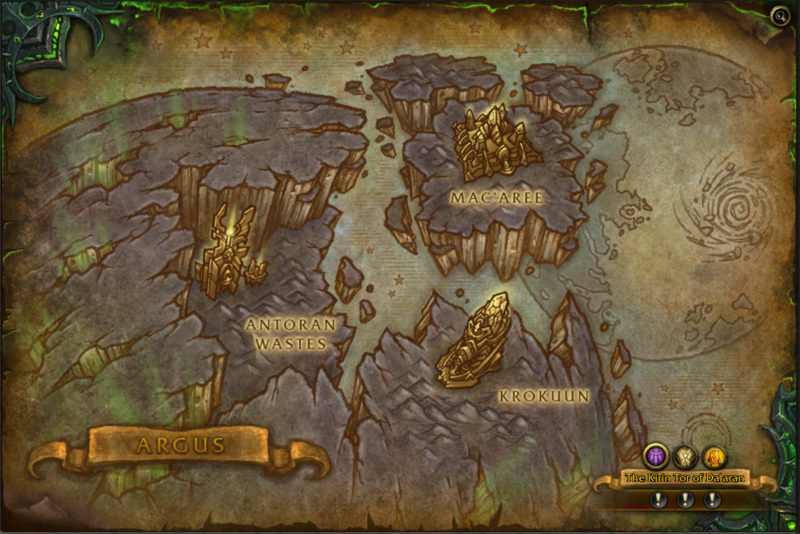 Invasion points which are called Argus Rifts, will be a new way to fight the Legion in different worlds. These will be replayable and will require using riftstones to gain access. Through the Legion Portal Network, you will be able to use the riftstones to go to these different worlds and complete the objectives to take the Legion all over the cosmos. This will allow access to Greater or Lesser rifts. You will need to make sure you pick up the Krokul Mining Pick. 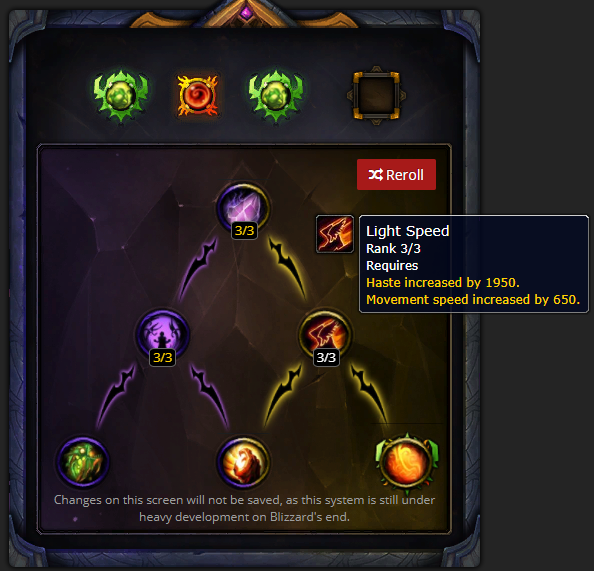 Crafted gear will be upgradeable to ilvl 935. You will need Primal Obliterum to upgrade crafted gear. You will need Obliterum and Primal Sargerite to make Primal Obliterum. Instead of Blood of Sargeras, Primal Sargerite will be used for the new recipes added this patch. This is a list of a few of the confirmed mounts that will be added with the patch. The Talbuks and Manta Rays, have a variety of colours available to collect. Paragon reputation reward for Argussian Reach. Exact drop unknown, but it is on Argus. Dropped from Puzzler's Desire - Secret Finders believe it is obtained similarly to the Riddlers mount. Purchases at the Darkmoon Faire. Drop from Fel-Spotted Eggs on Argus. Exalted with the Army of the Light. Paragon reputation reward Army of the Light. Dropped from the Antorus, the Burning Throne raid. Reward for completing Glory of the Argus Raider. This is a PvP reward. There are a ton of new pets that are coming with the patch. We have highlighted a few. Dropped from The Many-Faced Devourer. Drop from Mother Rosula which is a rare on Argus. Skinning, although the exact drop is unknown. Herbalism, although the exact drop is unknown. This dungeon has 4 bosses. Will open the 3rd week of the patch. This raid has 11 bosses. Raid release schedule is still TBA. Will be used on Argus versus Nethershards. The Nethershard Relinquished vendor, Thaumaturge Vashreen, will be moving to Argus for this new currency and the new ilvl gear. These are used to purchase ilvl 910 gear from the ethereal vendor on The Vindicaar. You will still be able to buy the previous items with Nethershards if needed. The Nethershard item ilvl gear will remain the same for the Dauntless Gear vendor. The Dauntless vendor is will remain on Broken Shore. Do you have feedback on this review, or see any errors or omissions? I would love to hear from you. For all the latest Method news, make sure to follow us on Twitter.